Manufacturer of a wide range of products which include coating pan machine and mixing heating tank. 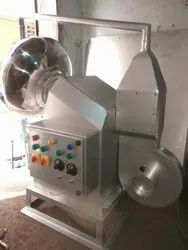 Urdhvaege Coating Pan Machine is available in different sizes starting from 24” Dia to 60” Dia size SS Pan. The Base Plate of Pan is SS 304 6 MM Thick. The machine comprised of MS Angle Frame with SS Cladding and Standard Gear Box, Motor, Hot Air Blowing arrangement. Machine is designed with MS fabricated structure and all components along with it. The motor and gearbox is mounted inside sturdy MS Frame and the pan mounted on the Gearing housing fitted in the stand. All joints argon Arc welded and all SS Parts polished to suitable finished required of pharmaceutical equipment and MS parts painted to smooth finish. Machine is mounted on dynamounts which avoids foundation. The Mixing Heating Tank is a food processing tank that is especially applied in a combined heating and mixing process. 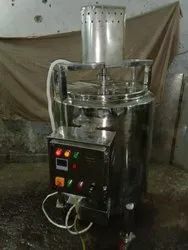 This type of tank is widely used in fruit, dairy and soup preparation.